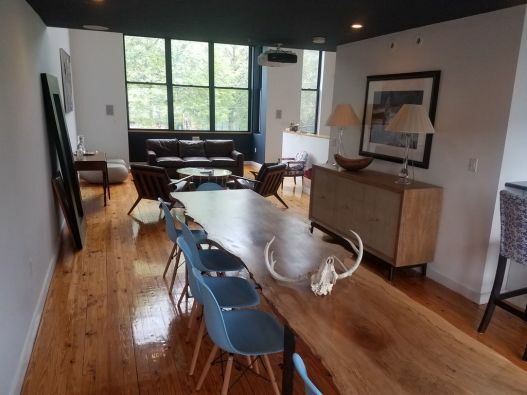 Amazing loft-style apartment in Jamaica Plain with high ceilings, exposed Brick and parking. 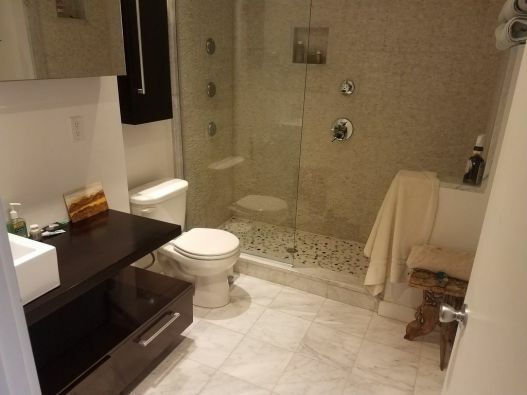 Additional features include1924 sq. 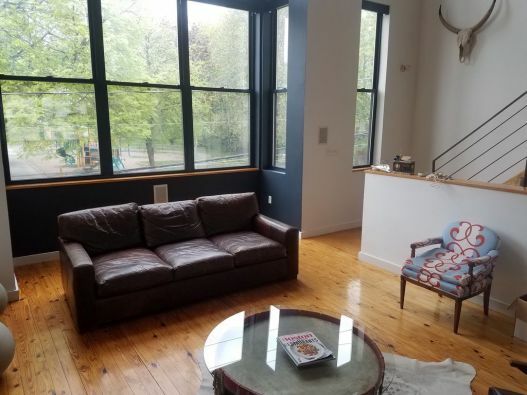 ft of living space, private entrance giving the unit a townhouse feel, 2 bed, 1.5 bath, rooftop headhouse opens to private 350 sq. 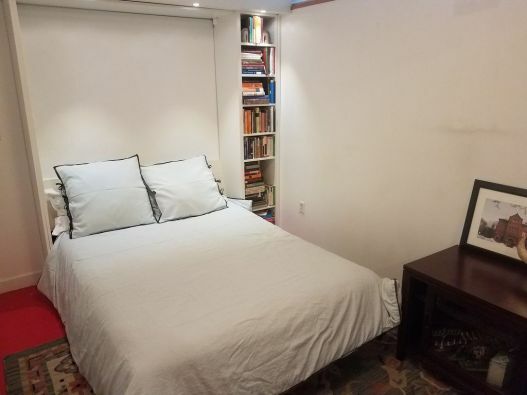 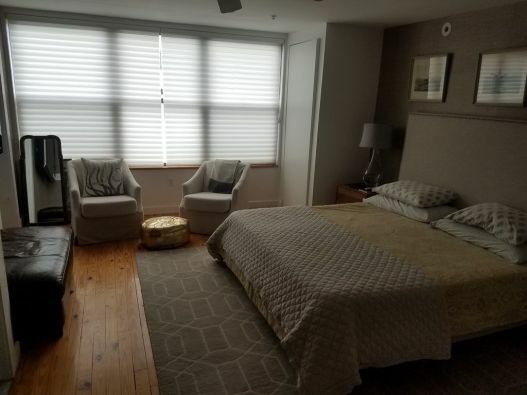 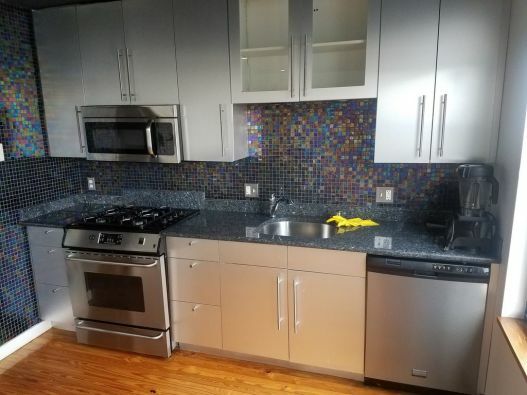 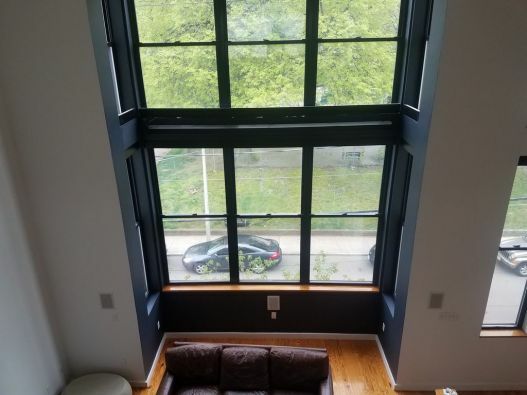 ft roofdeck, large dressing room or small office off master bedroom, 1 off-street parking space, easy street parking, Easy access to the Orange Line - Green St. station which is 1 block away. 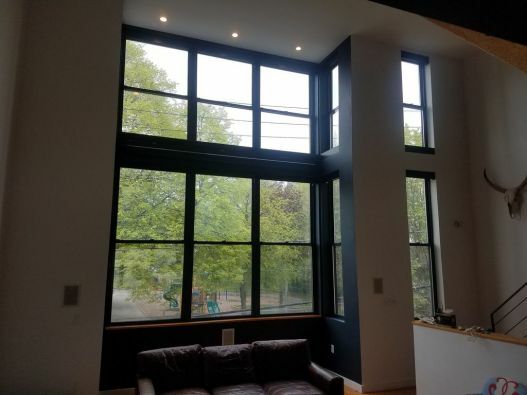 16 ft wall of windows overlooking park/playground with custom stairs featuring raw iron rails, oriented strandboard stringers, and open risers. 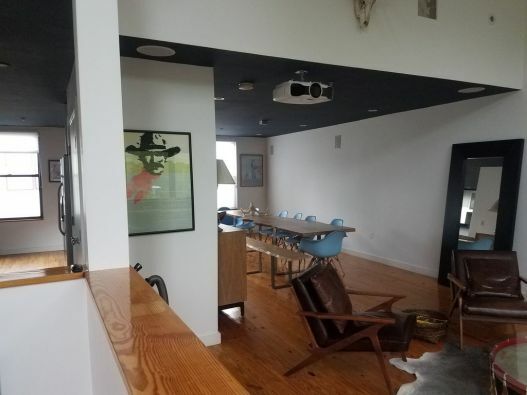 In-wall/ceiling speakers throughout with main living area that converts to a viewing room with motorized shades, built-in HD projector, surround sound speakers, and 10 ft motorized movie screen. 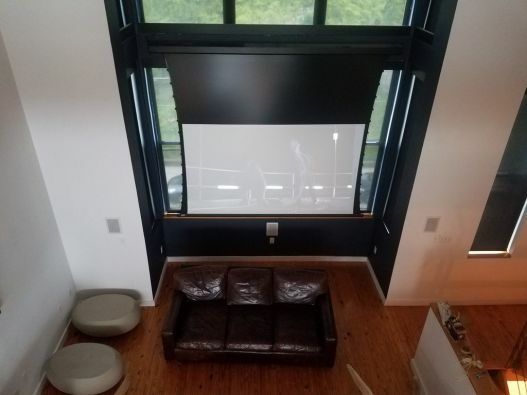 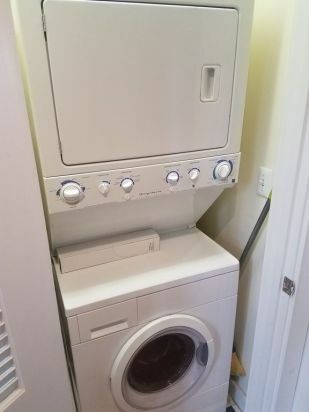 Also included in the rental price is heat and hot water, HD projector and 120" screen, 50" master bedroom TV (wall mounted), custom built 13' dining table, spare bedroom queen Murphy bed and mattress, roof deck furniture and grill, and wall mounted bicycle racks.